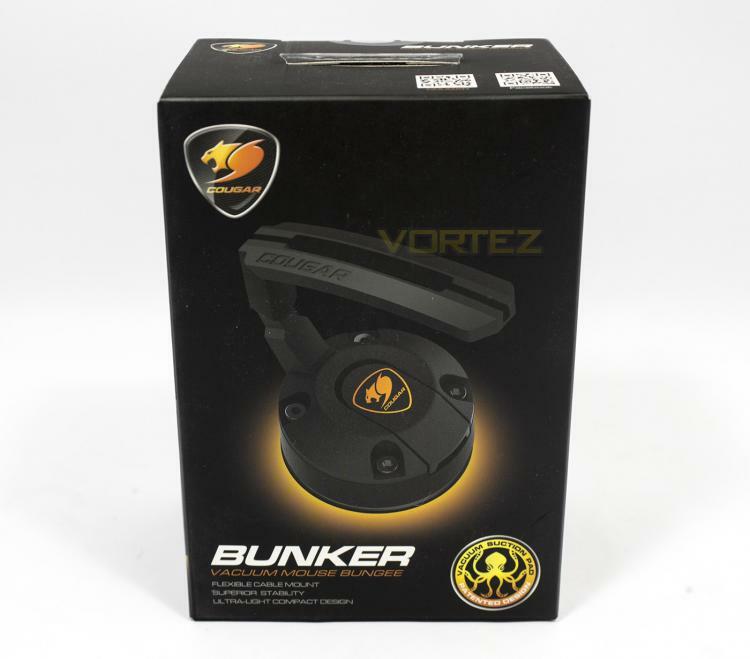 This is theBunker vacuum mouse bungee. 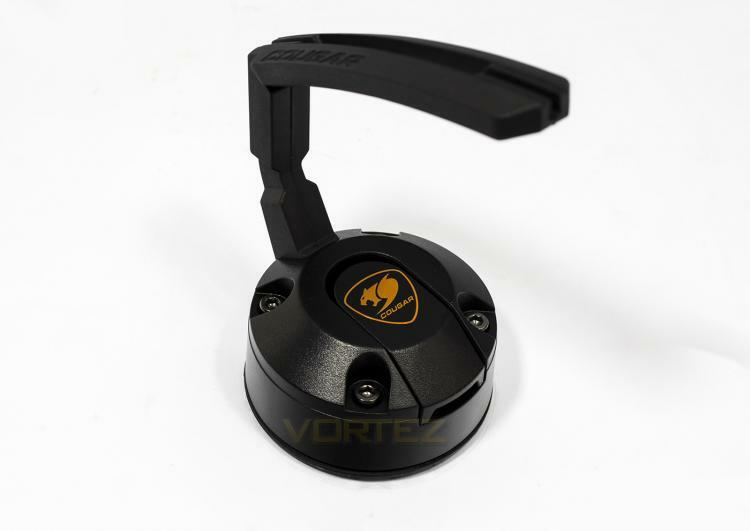 Bungees can help manage cables, and reduce any drag or resistance from the cable of your wired mouse. 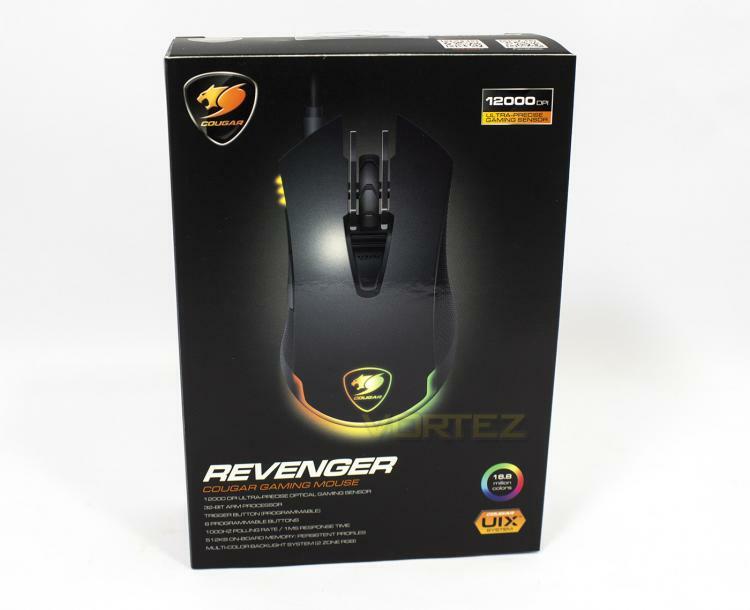 The Cougar branding is easy to notice and the large image of the mouse is accompanied by relevant information about its features. 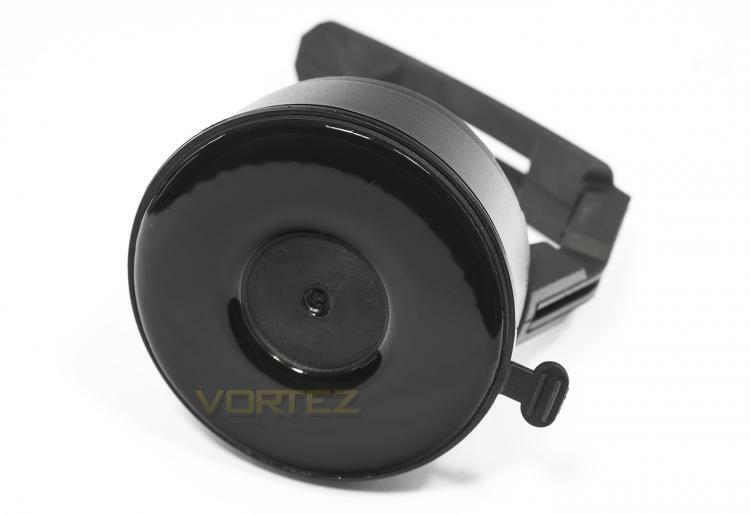 There is a preview window which can be opened up, allowing people to see the product inside. There is some additional information on the inside also. 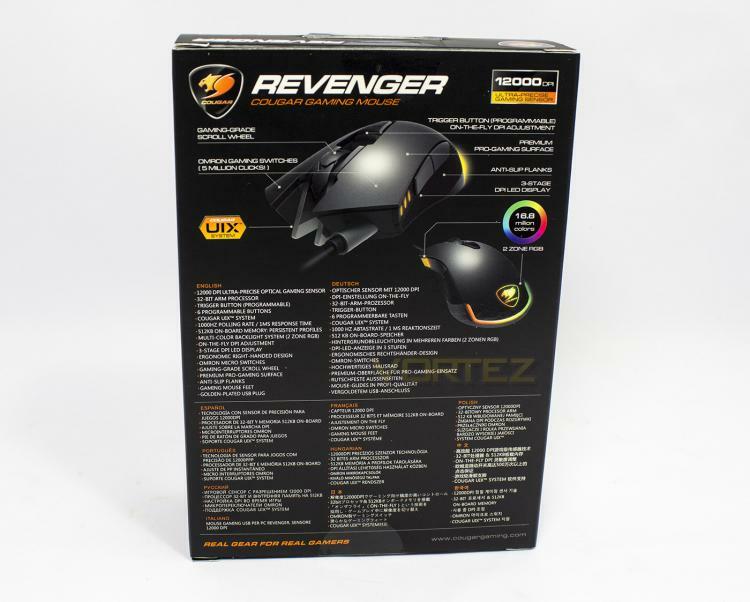 At the back there is a diagram detailing the key points about the Revenger mouse, as well as the technical specifications listed in various languages. 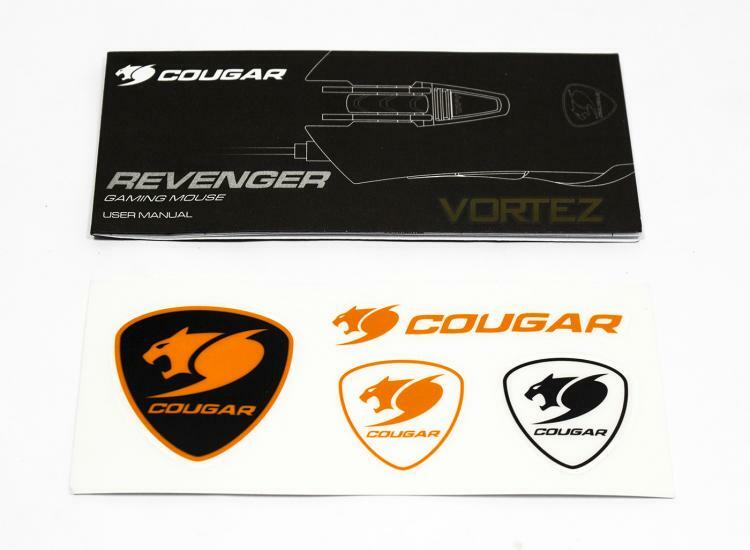 Inside you will find a small manual containing information about the product and some Cougar stickers. 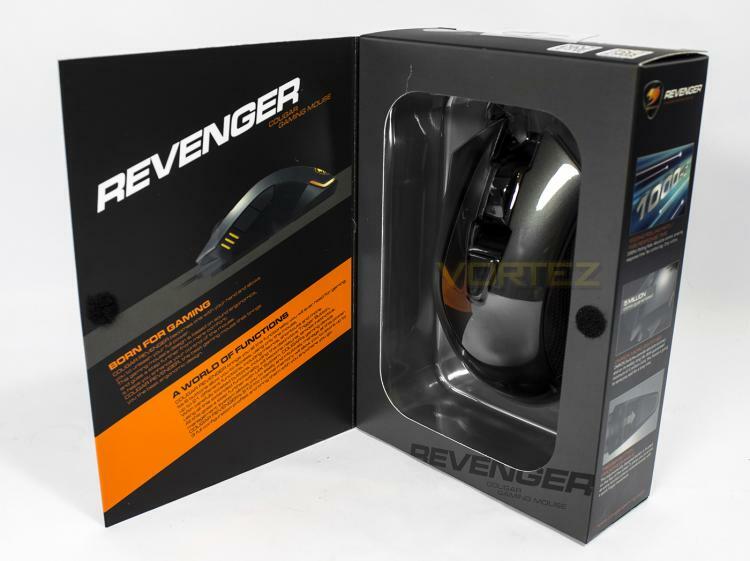 The Revenger mouse has a very similar shape to the 500M series mice, though the finished surface helps distinguish it a little. 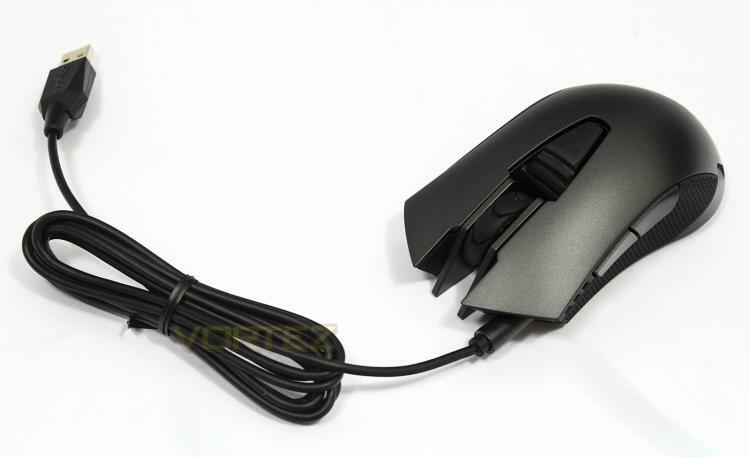 The 1.8m cable is supple/rubbery, though some may prefer it to be braided.